When significant augmentation to the nose is needed, the options have always included the patient’s own bone (autograft), a synthetic material (implant) and cadaveric or tissue bank grafts. 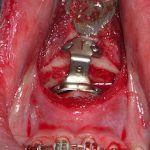 (allograft) There are biologic advantages and disadvantages to either nasal augmentation option as well as patient and surgeon preferences, the latter often based on more emotion than objective criteria. But all have been shown to have reasonable degrees of clinical success as well as their own complications. None are perfect augmentation materials that work well for everyone in all circumstances. In the January 2019 issue of the journal Plastic and Reconstructive Surgery an article as published entitled ‘Nasal Bone Augmentation with Freeze-Dried Allograft Bone: 10-Year Comprehensive Review’. In this paper the authors provide a ten year review of a total of 62 patients who had allograft bone placed in the nose. This builds upon an original series of patients (18 patients, 42 month followup, 89% success rate) originally published in the same journal in 2009. The goal was to determine the objective persistence of the graft by volume through lateral cephalometric x-rays and CT scans. Vascularization was evaluated by fluorine18 sodium fluoride PET scans. Subjective evaluation of graft volume by done by patient surveys. In 16 of the 19 allograft bone implantations (84%) there was objective proof of volume persistence, some with concomitant proof of neovascularization. By subjective survey assessment 37 of 43 patients (86%) reported volume persistence. Collectively the authors report an 85% success rate in 62 patients with an average followup of over 4 years. 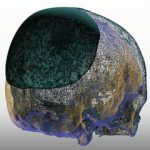 They feel this clinical experience demonstrates that freeze-dried allograft bone produces equal results to autologous bone without the donor site morbidity. In the spirit of proving objective evidence of clinical performance of a nasal augmentation material this paper produces the only long-term data on the use of allograft bone to the nose that I have read. I have to admit that I have much more experience with allograft cartilage for nasal augmentation than allograft bone. And quite frankly I have far greater experience with the use of rib cartilage grafts to the nose than cranial or rib bone. But for those surgeons and patients who opt for allograft bone, this paper should provide comfort in that choice.